Happy New Year!! Engagement Season is here!!! In 2017, we saw some really cool DIY wedding ideas and lots of unique touches ranging from non-traditional dresses to having personal pets as guests or ring-bearers….eek!! Some trends were really awe-inspiring while others were more traditional as we have witnessed them in the past. We know how much time engaged couples spend researching ideas online, so we thought it would be great to put together some wedding trends to watch out for this year. One of the most pursued wedding trends this past year was smaller, more intimate weddings. Couples have started thinking more logically than ever. They know how important it is to save money, so instead of going overboard with over-the-top decór or elaborate Viennese tables, they are choosing more intimate celebrations and spending more of their budget on their honeymoon and down-payments on their new home after they are married. In 2017, smaller weddings were trending and still seem to be popular this year. As a result, only your nearest and dearest are in attendance and there way fewer expenditures to worry about after your event. Yes, you heard it right! Times have changed and there is no place for typical weddings anymore. In the coming year, it is expected that wedding parties will take place with some really great innovations. With parties changed and new roles being defined, we cannot predict how bridesmen and groomsladies will dress. Maybe they choose to dress like the opposite gender, who knows? After all, it’s a whole new era of wedding traditions shaping up for the future. With the growing use of the internet and awareness being spread everywhere, in 2018, it is anticipated that weddings will take place with a glimpse of some other culture and tradition. Couples like to experiment on their special day and marrying their loved one in a unique style, will surely inspire them to follow this new trend. Traditional weddings have those same frocks and gowns, but if you go for cross-cultural weddings, you can get to wear traditional dresses of other countries. People are very choosy about their dietary habits. They don’t like to eat unhealthy food and items they don’t like. It can be really very difficult to take care of choices of all the guests. This is the reason why the trend of gourmet buffet food will grow rapidly in 2018. Couples will have more time to hang out with the guests at a place where they can serve a buffet-style meal. Every guest will get a chance to eat their favorite dish without any difficulty. These are some wedding trends that will transpire in 2018 and transform wedding celebrations completely. 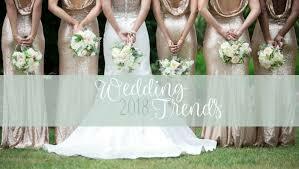 These trends can really make your wedding ceremony unique and even more special. If you want to make your wedding celebration memorable, you should look for new and improved ideas and some of the ideas discussed here, are certainly worth considering. As a NY wedding officiant, I have seen many trends come and go, so our company provides wedding officiants and planners with years of experience and cross-cultural knowledge to keep up with the international couples we serve. We can help you create a whimsical wedding ceremony by incorporating all the latest wedding trends. Common Ground Ceremonies has recently won their 8th consecutive The Knot-2018 Best of Weddings award so please contact us today to discuss your wedding and for a chance to make your wedding day more special. 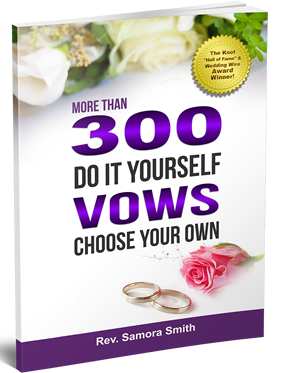 Previous Previous post: Planning your Jewish/Catholic Wedding Ceremony?